Introducing Medical Turntable. 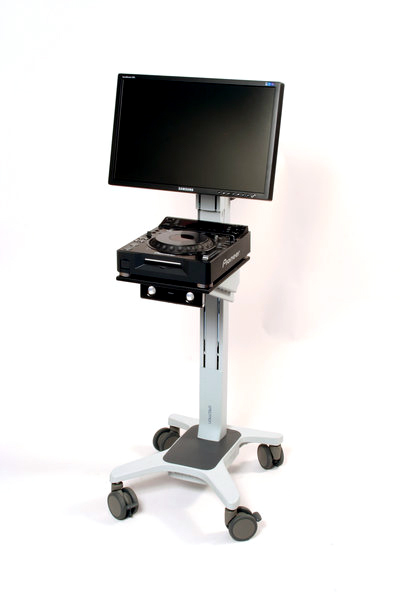 A versatile, compact and mobile review station for all hospital DVD video review applications. A first of its kind. Seamless frame-by-frame video playback without being tied down to computers and poorly designed video editing suites. Untether yourself from the IT department. No computer to crash, no software to install, no network privacy to worry about. Just slide in a DVD and spin the wheel.